It was not really as hard as I expected. 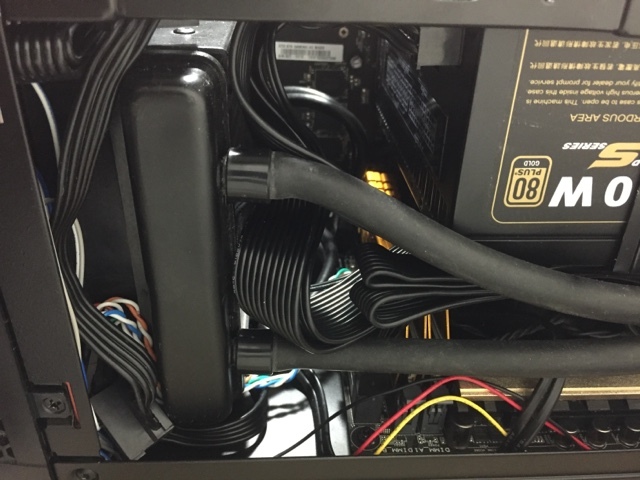 Thanks to the ribbon form of the PSU cables, it was easy to fold the cables few times over. After I folded them to an appropriate length, I used cable-ties to tie them up. 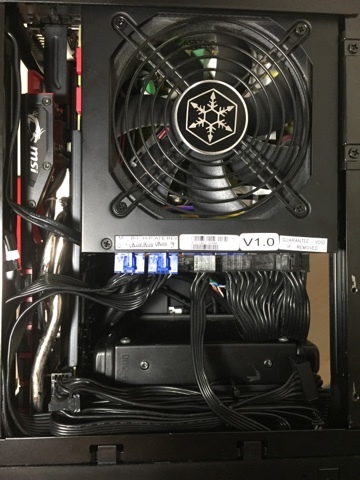 Overall, I managed to free up almost the entire area behind the radiator to provide a clear path for the air to flow through the case. Sadly the CPU nor the video card temps were hardly affected. That is because both the CPU and the video card were sacking cool air directly from the outside. Even if the heat would build up inside the case, it wouldn't have affected these two components that much. However the other components such as the VRM on the motherboard and the DDR3 sticks probably are thankful for the added breathing room.